Ultra fast and easy if you already know how to cable knit, otherwise it’s also pretty good to learn how to cable knit! 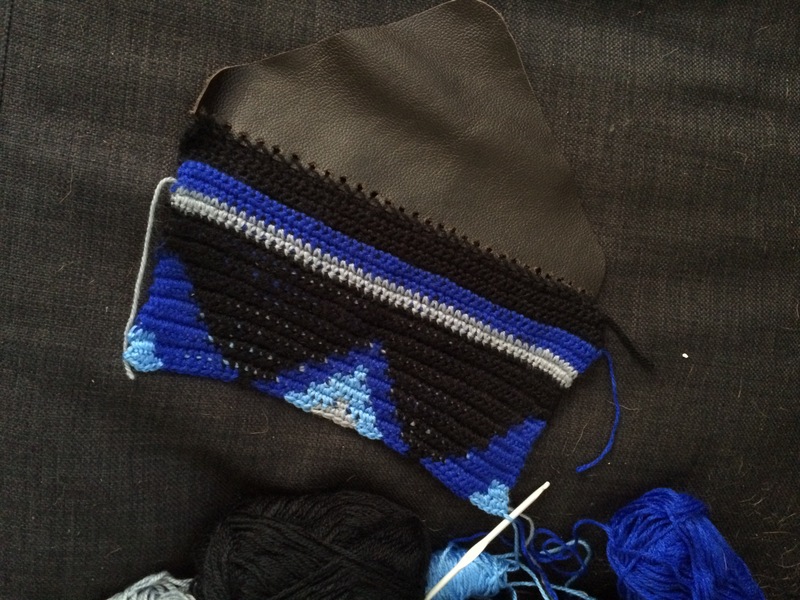 All you need is 2 different colours of yarn (or you could try to add more colours and go for rainbow!) 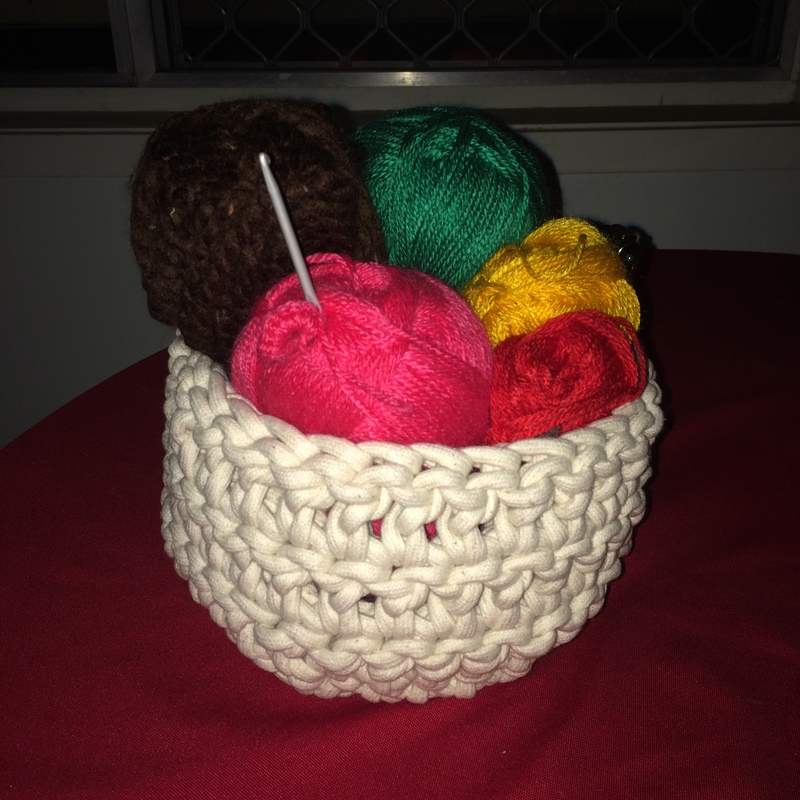 and you also need to know how to make a pompom. 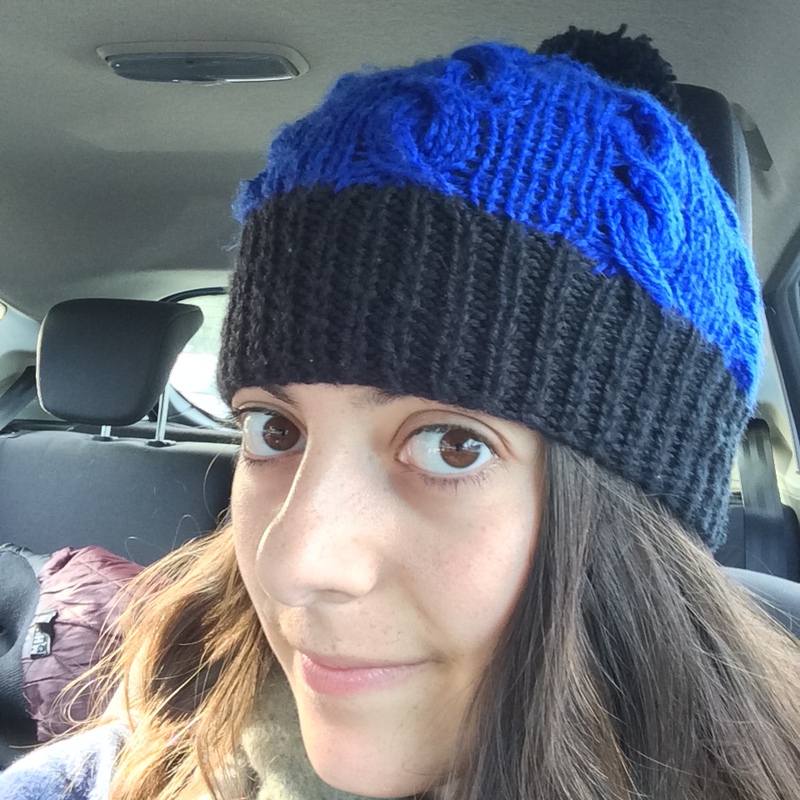 I will write up a tutorial during the weekend on how to make your pompom using nothing but cardboard, yarn and a bit of patience! And this is the final result! 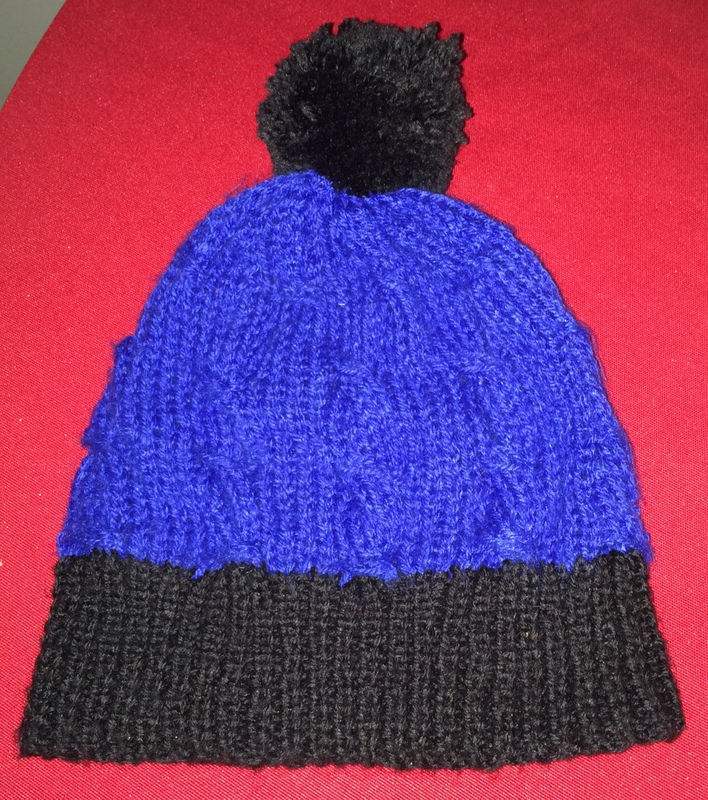 It’s perfect to keep your ears warm and I really love the look of it! I made a bunch for my family for Christmas last year, you can vary the colours but personally I like to keep the initial rib the same colour as the pompom. What’s your favourite winter wear? Each was only $2!! So now I’m giving myself a challenge! 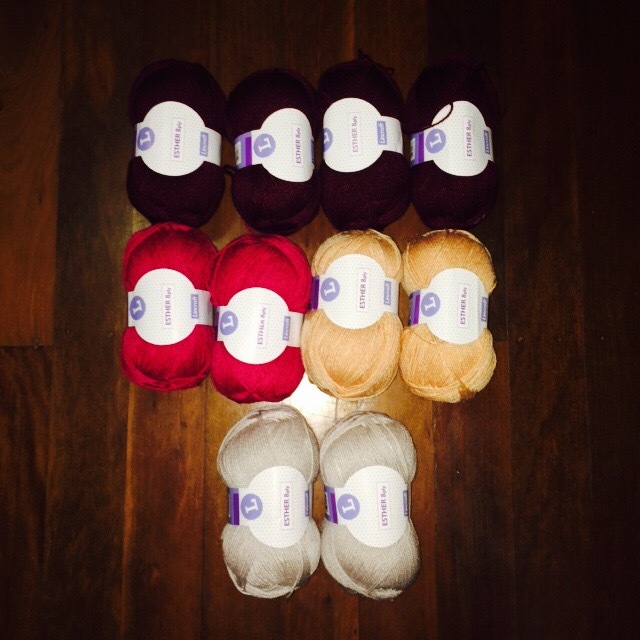 The 2015 Crochet-A-Long Mystery Afghan from Yarnspiration. I will start tonight (hopefully) and keep you posted every Friday! 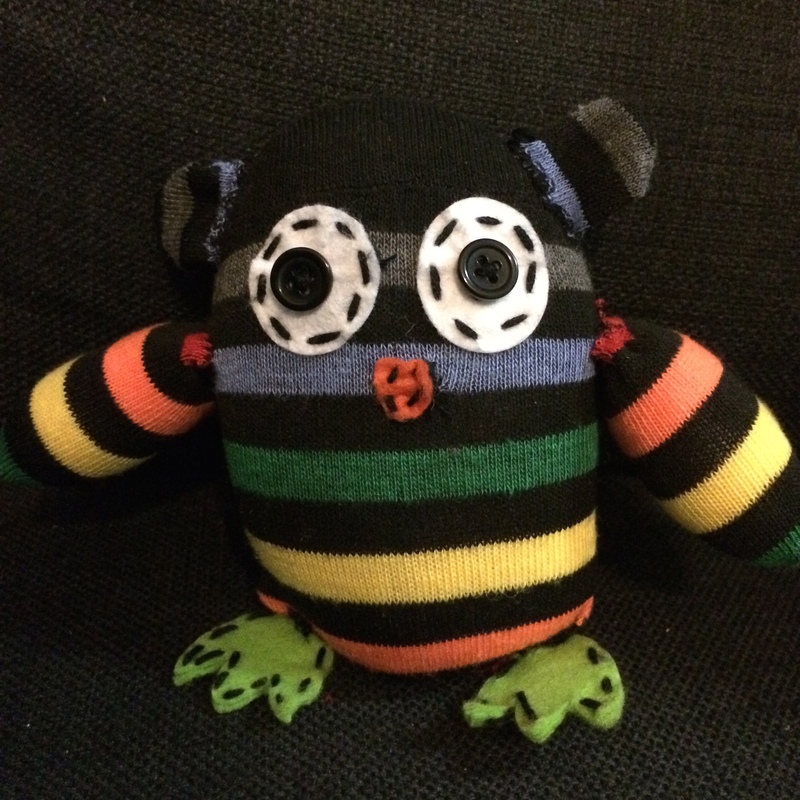 They actually make great soft toys for children (or even for pets) or they look nice as decorations. 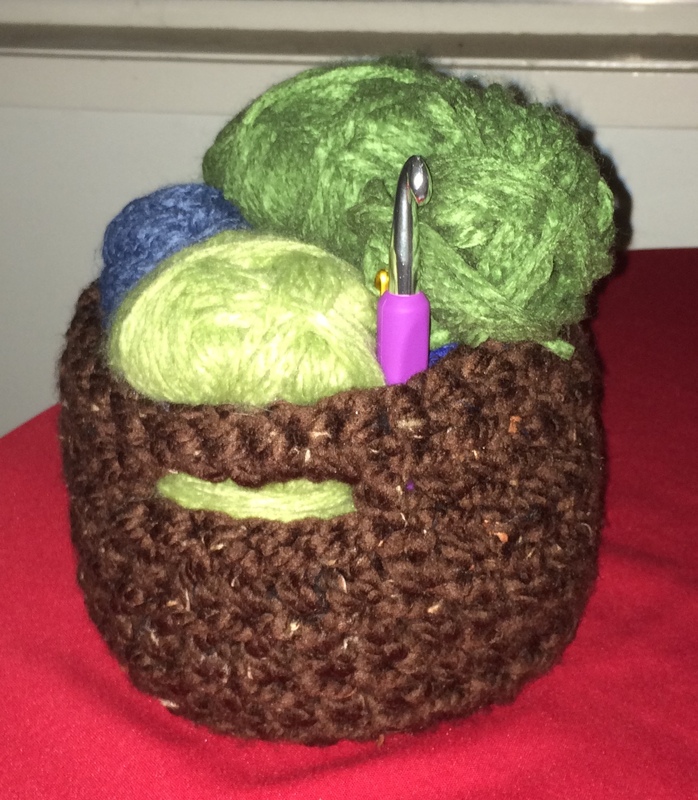 I was browsing through MollieMakes and found this cute basket pattern which seemed perfect to store my not-yet-used yarn. It only took me a few hours to make and it helped tidy my craft area/living room a lot! and the brown one with chocolate chunky yarn. 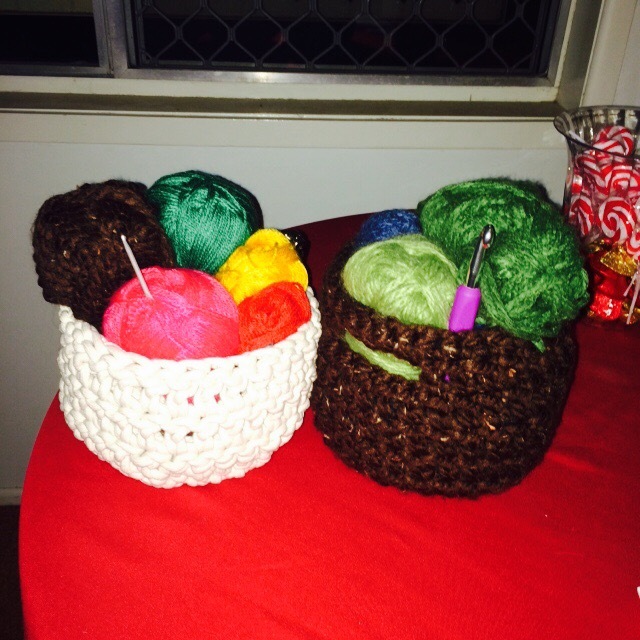 I used a 10mm crochet hook for both. Do you have nice crafted things to help you tidy things up at home? A few weeks back, I was at a conference and to be honest, some bits were really boring. 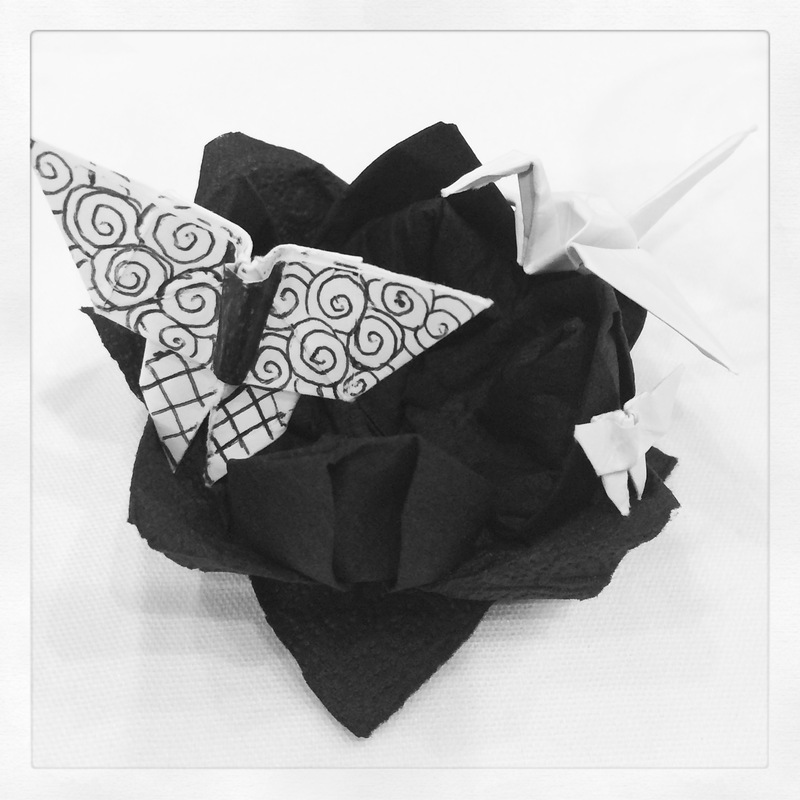 But I had a great time practicing my origami skills with the Japanese professor sitting next to me! Lotus flower made with a napkin, 2 butterflies (one decorated) and a crane. The paper was a bit thick but they turned out pretty good. When I came back, I actually got some real origami paper and decided to make origami pendants. I’ve made a crane and a butterfly so far but I’d love to make more. 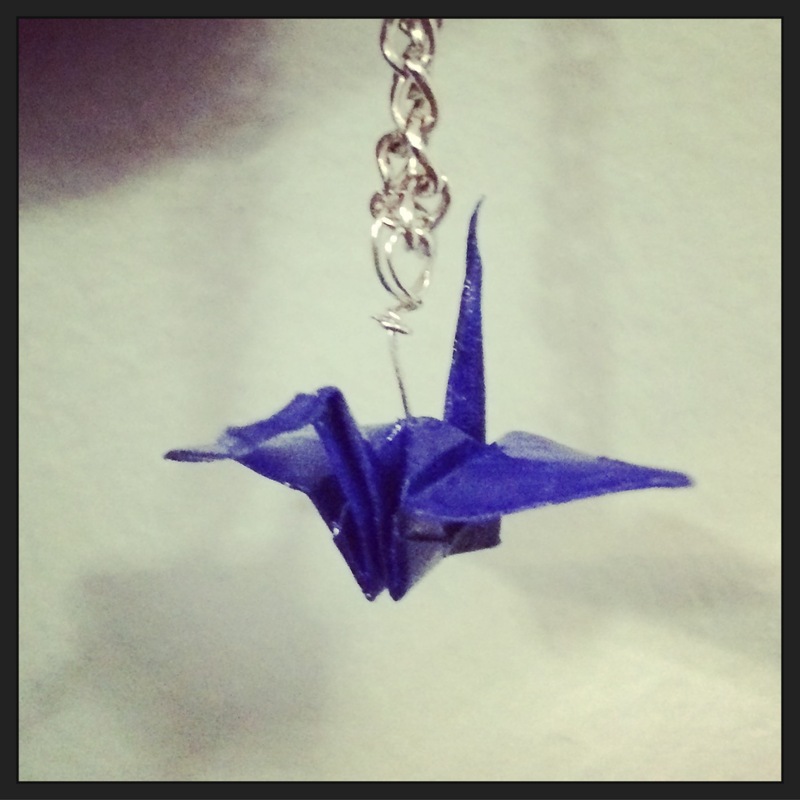 Blue origami paper, some transparent nail polish to fix my crane into place, silver metal wire and you have my first origami pendant! What is your fave origami design? Hi crafters! Today I’d like to share some of my latest projects. A crocheted clutch using tapestry crochet (when you carry on the yarn inside your work so both sides look the same) and a volcano-like terrain for the model game I play (Warhammer anyone?). I’m pretty excited about this last one because it’s the first time I’m doing this and I find it pretty awesome! 4 colours clutch with leather flap. Crochet hook size 4 using double knit yarn. 2ftx2ft board for Warhammer 40k. Volcano in the center with 3 smaller islands. Made out of recycled polystyrene. The lasts months in Brisbane have been cold, and I mean really cold! Yes, we do get cold weather, and yes, I consider below 10°C very cold. 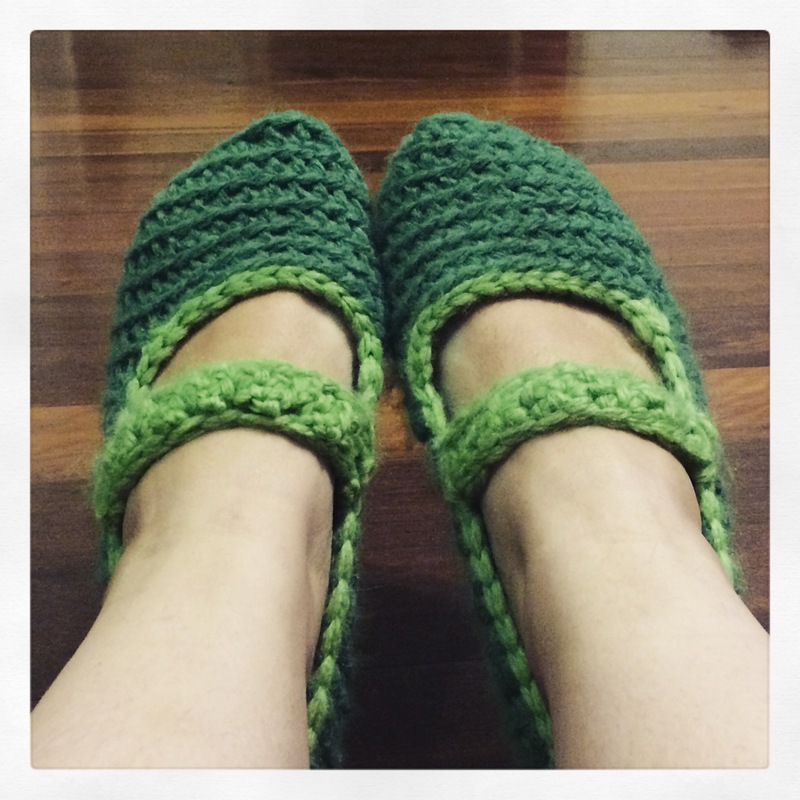 But, it was perfect weather for some crocheting, and I found this really easy slippers pattern, which I had to try immediately. 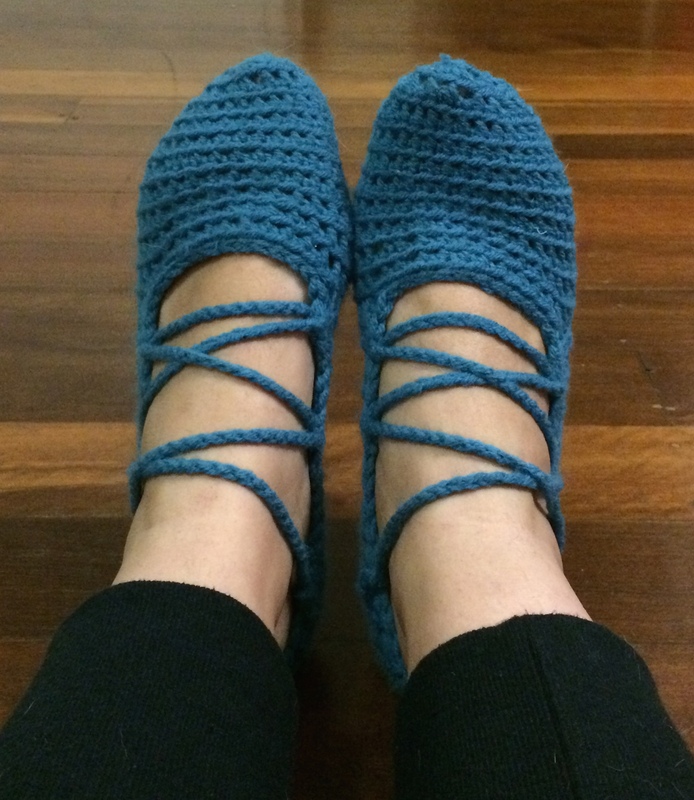 I’m a size 10 (Australian female size) and the pattern was very easy to adjust. I added some extra embellishments as well (a basic crochet chain for my blue slippers and a larger strap for the green ones) and voila! My feet have been warm since! 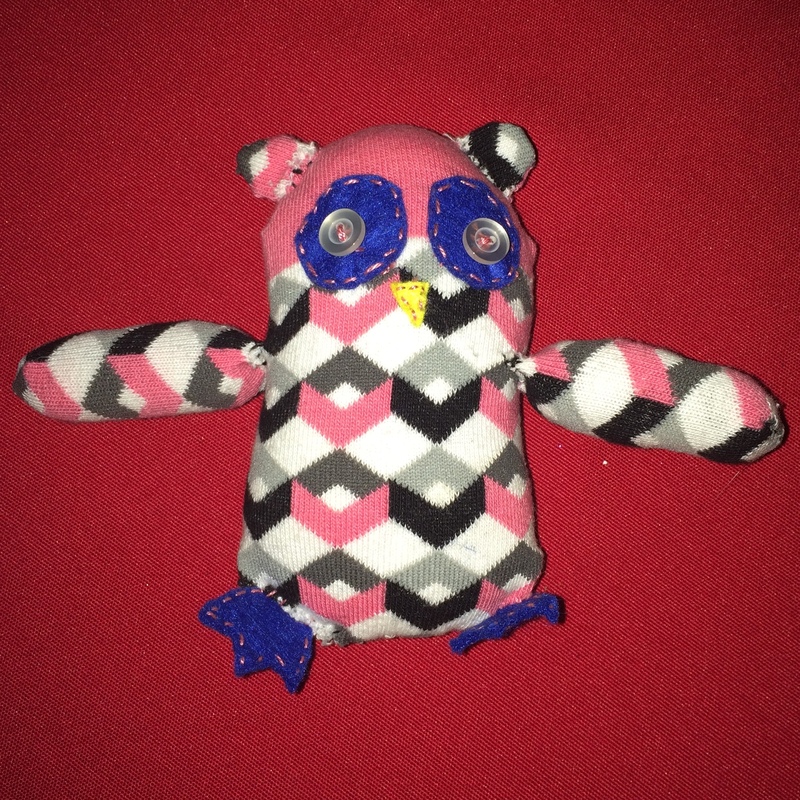 Hello everyone and welcome to my craft projects page! 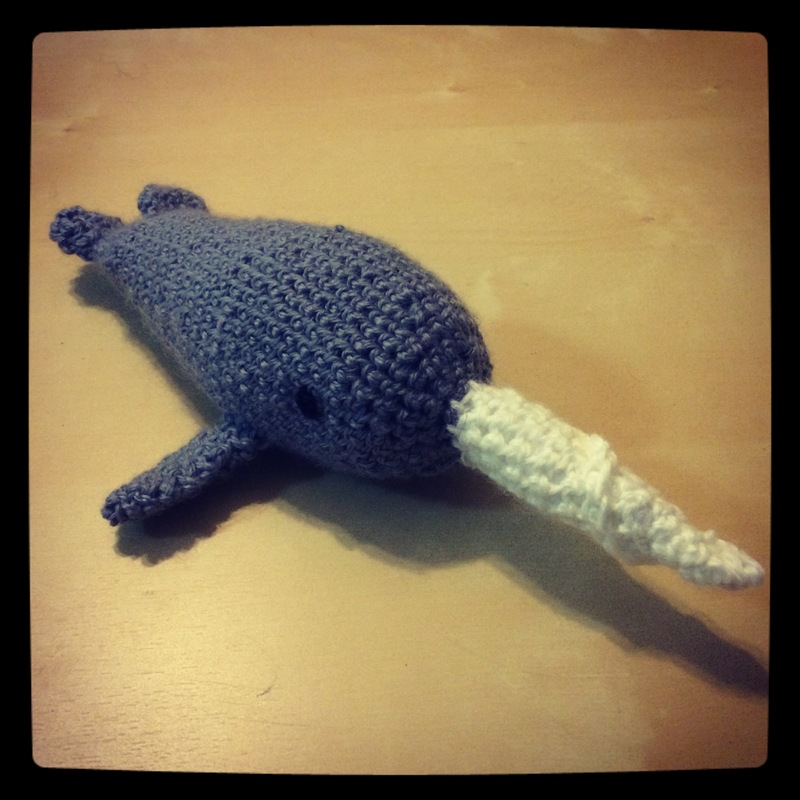 Here I will share past and current craft projects, as well as some of my favorite crochet and knitting patterns. I like to touch on a bit of everything so if you have some craft inspo you’d like to share, you are more than welcome!